InterContinental Hotels Group has signed its second extended stay property in London. The new-build Staybridge Suites London Vauxhall is due to open early in 2015. The 93-suite hotel is part of Albert Embankment’s Spring Mews development project. In September, IHG announced a new Crowne Plaza property will open nearby on Albert Embankment in spring 2015 (see news, September 24). 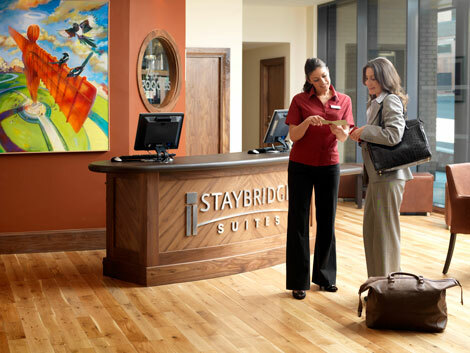 Each suite at the Staybridge hotel will feature fully-equipped kitchens, LED TVs, large work areas and free wifi. Guests will also have use of a gym, business centre, laundry room and access to The Pantry, the brand’s own convenience store that is open 24 hours per day. There will also be a complimentary full breakfast buffet and a social evening reception three days a week. Robert Shepherd, IHG chief development officer, Europe, said: “We’re seeing increasing demand for extended stay properties in a market driven by corporate business. Staybridge Suites London Vauxhall will operate under a franchise agreement with new owner Spring Mews Ltd, a subsidiary of CLS Holdings plc, while the hotel will be managed by Cycas Hospitality, who also manage Staybridge Suites London Stratford City and Staybridge Suites Liverpool. The property is the fourth Staybridge Suites property in the UK alongside Liverpool, Newcastle and London Stratford which opened in 2008, 2009 and 2012 respectively. Staybridge Suites Birmingham opens later this year.